Just a quick post to tell you about some great sale buys I've seen. Although I love a good sale it can be a bit too much to handle in stores, hate looking through rails for my size and the mess sometimes puts me off. Instead, I like to shop sale in the comfort of my home in my loungewear. I was in the middle of doing a post on silver shoes (coming soon) but then got distracted on the H&M site as you do, and ended up buying a few things...Opps! Not sure what they will look like on but worth a try at these prices. Not really into the lace stuff but do own a few things more subtle, I think I have been convinced more after seeing the lovely V from amothersedit wearing it, her Instagram has loads of lace inspiration. 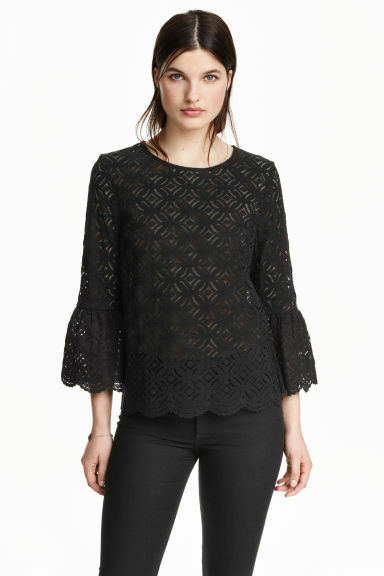 Firstly bought this top, it's very out of my comfort zone but the sleeves and the black lace is gorgeous, just hope it looks ok on and I have somewhere to wear it. Today H&M are doing a further 10% off sale goods with the code 6043 so even better prices. I also bought the below white blouse with frills on the collar and sleeves and a lace trim at the front. 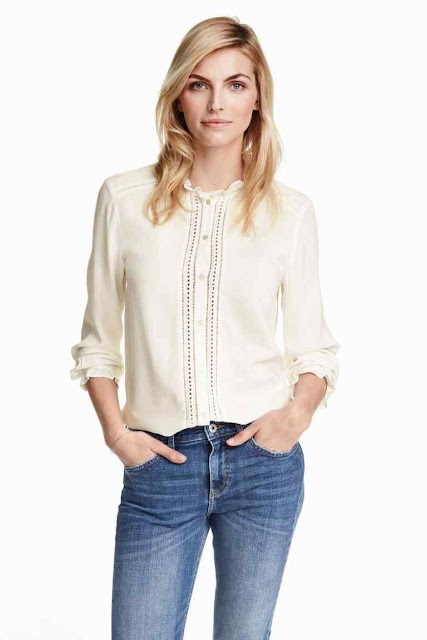 Very current right now and an item that will be very versatile in your wardrobe. What else is worth getting? 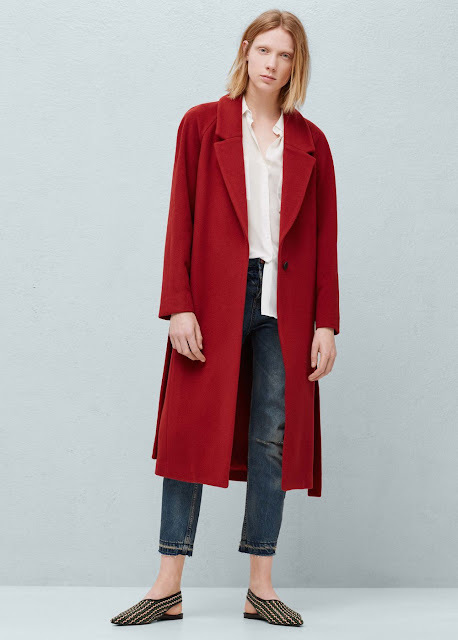 Mango is great for sales, this red coat has 50% off, although it seems like the weather is slowly changing, this will be a great investment for Winter. (This navy one looks just as good too). Another favourite place to shop sale is Zara, saw this jumper a while back, sold out online but you may find some luck in the stores. Sorry, another winter item but you can never have too many grey jumpers and this one from &otherstoires looks incredibly comfy! Hope you like some of my sale choices, loads of good pieces if you keep your eyes open, happy shopping!